1. You can experiment with more "fashion" pieces you wouldn't normally wear for a wedding. 2. But clean, simple lines are also an easy go-to with city-based nuptials. 3. With that in mind, black is a lot more acceptable, as are cocktail dresses. 4. Flats or heels are acceptable. Just make sure they're comfortable for all that dancing and potential walks to your Uber/tube. 5. Tailored pieces or a suit would work for this type of wedding. Just remember to up the ante when it comes to accessories to stop it from being too much like officewear. 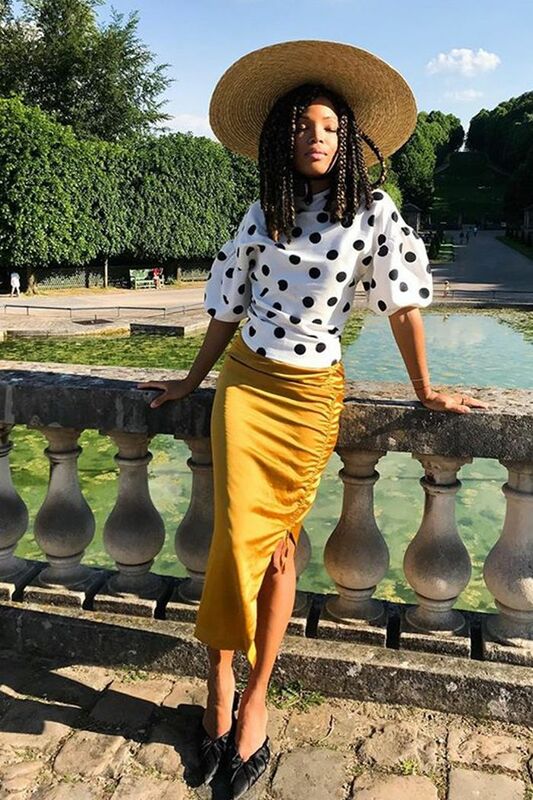 For more guidance in this department, however, we've looked at some of our favourite elegant influencers who have got urban nuptial wedding guest outfits all sorted. Keep scrolling for what to wear to a city wedding and shop key pieces. Style Notes: This combination of yellow silk and monochrome polka dots sets our hearts racing and is a perfect alternative to a formal dress. Bravo, Ellie. Style Notes: Renia wears the Ganni dress everyone is talking about. Bold print, wrap style and asymmetric hemline = our dream city wedding outfit. Style Notes: Polka dots are universally flattering and bang on trend. Natasha Ndlovu pairs her ASOS look with a ladylike box bag. Style Notes: For a more informal option, try a white, balloon-sleeved sun dress and brown heeled sandals. Style Notes: We love Jeanette Madsen's slinky wrap dress, which is quickly becoming the dress shape of the season. Barely there strappy heels elevate the look for a formal occasion. 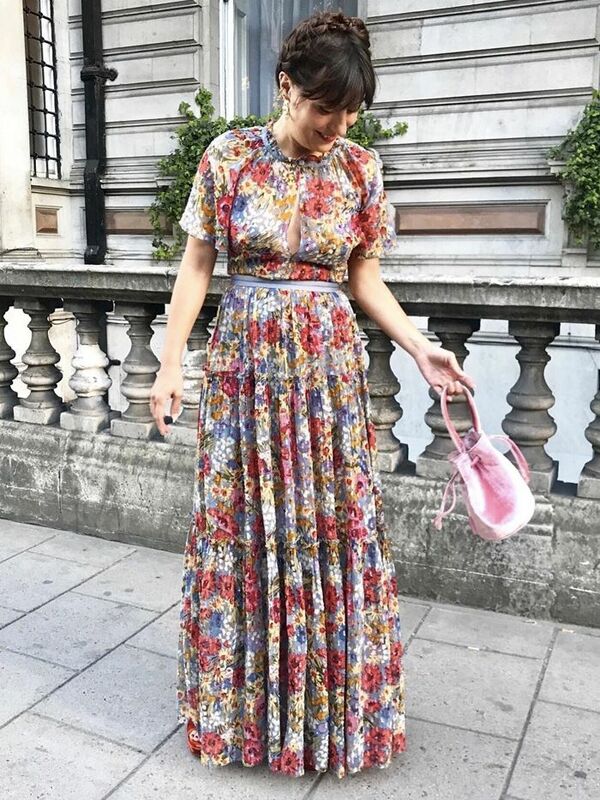 Style Notes: Erica Davies is the ultimate inspo for those who are bored of doing the wedding guest dress rotation. A black top and trousers look chic and smart while colour-pop accessories add personality. Want more ideas? Shop the 29 best wedding guest dresses that stand out from the crowd.